Are You Ready To Save Big This Black Friday With Breastpumps & Beyond? Home > Breastpumps > Are You Ready To Save Big This Black Friday With Breastpumps & Beyond? 19 Nov Are You Ready To Save Big This Black Friday With Breastpumps & Beyond? This Black Friday, Breastpumps & Beyond are bringing you some of the most tantalizing savings you can imagine. We will show you a little sneak peek as to what you can expect to see on sale. Prepare yourself and plan your shopping list to ensure you do not lose out! Remember, all these savings are only valid while stocks last, so time will be of the essence this Friday! Being a breastfeeding mom definitely is no easy task. Therefore, why not make it as comfortable as you can! This Black Friday, we are offering a few great intimate apparel pieces for you to choose from. Here are a sneak peek at some of the pieces on offer. You will also be able to get your hands on some top notch accessories to help you make your breastfeeding journey easier. Grab the incredible Purelan 100 this Black Friday and other great accessories for less before they’re sold out! If your little one is transitioning from breastfeeding to solids, then this is the category for you! Recently, Breastpumps & Beyond took on a new brand; Twistshake. This brings you a number of high end feeding products and accessories for your little one. These are innovative in design and appealing to the eye. Take a look at some of the great products on offer for you this Friday. Finally, we reveal the pièce de résistance! 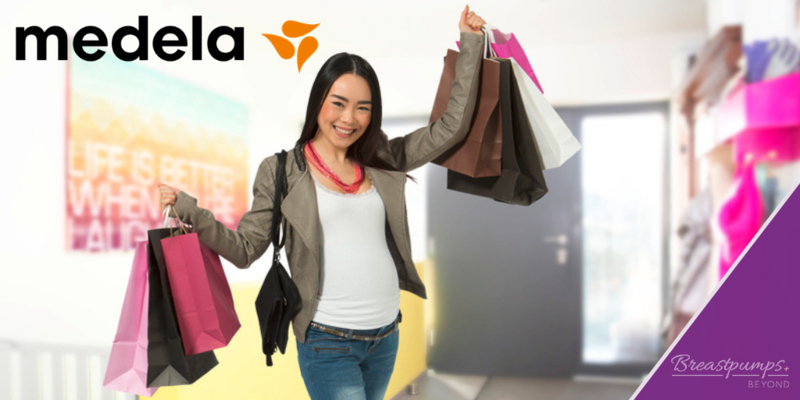 This black Friday, sink your teeth into some spectacular sales prices in the Medela pump range. We have specials on three of our best products and cannot wait to share these with you! Take a look at these incredible pump specials and pick up yours now before it is too late!